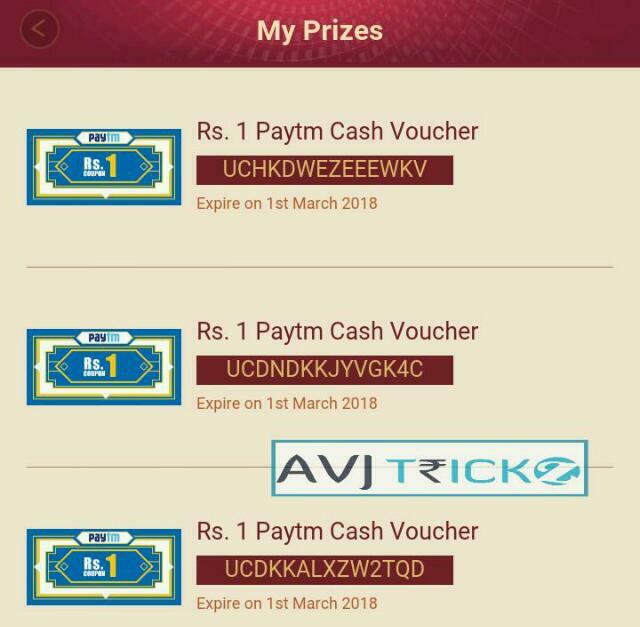 Hi Guys, Uc News is again back with another awesome opportunity to earn PayTM cash. 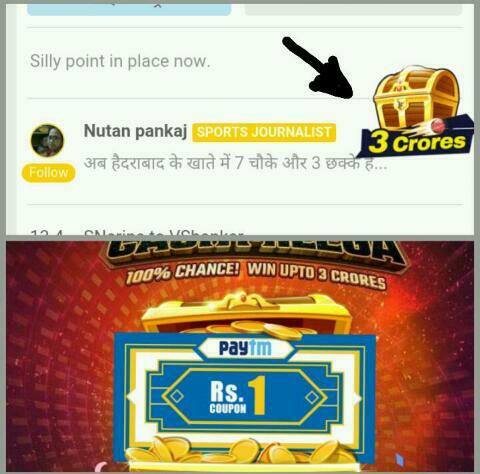 They now comes with IPL treasure hunt game and they delivering 3 Crores During the last days of this IPL. This time no need to invite friends and You can win assured prize. The amount will depend on your luck and play. UC News keeps you up to date with the latest news, breaking news & developing stories locally and globally. Know what’s happening around you with Local News channels. Enjoy All-in-one news from UC News, Cricket Livescore, Bollywood news, Jio Deals, India News & more. Also they are very active for rewarding by Frequently bringing Contests, game plays and Giving lots of prizes to it’s customers. This time UC News has divided the time as FOW time and non FOW time. 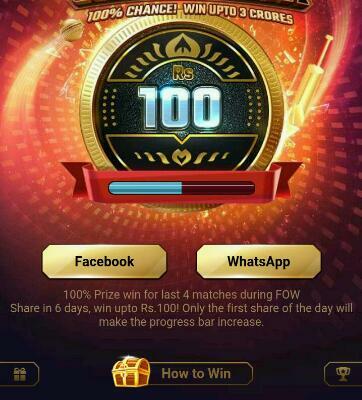 In FOW time you can win up to Rs.10,000 in each FOW (Fall of Wicket) . And in non FOW time you can win assured Rs.100 in total. You need to Follow different process in both the game play. Now follow the below instructions carefully to earn from this contest. 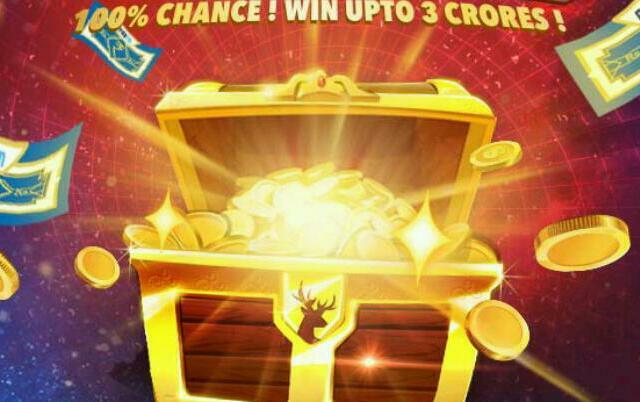 7- You shall share on 6 different days during non-FOW（Fall of Wicket） Time in the game page to win cash upto Rs. 100. Also you can follow the following steps to 100% win prizes during FOW Time. 3- You shall focus on the last 4 matches（semi-final and final）of 2017 IPL and keep opening UC News when the matches are on going. 4- Click the teasure on FOW time It will lead to Game page and again Click on the treasure on Game page to Get the prize. 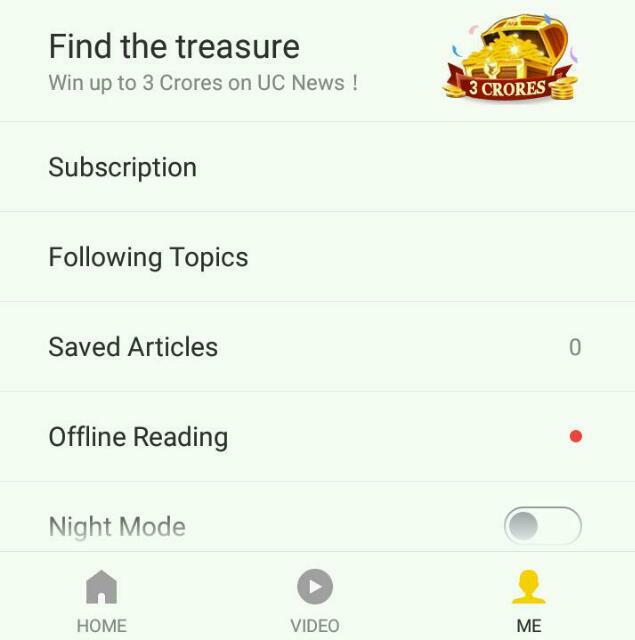 5- You shall click the treasure on match page in UC News during FOW TIME which will last for 10 minutes for each FOW time appears.